Resveratrol (RSV) is a natural compound present in berries, grapes and red wine that has shown some neuroprotective properties, but the mechanism by which RSV exhibits its protective role is not very well understood yet. Little is known about the effect of RSV on adenosinergic system, a system regulated in an age-dependent manner in SAMP8 mice, widely considered as an Alzheimer’s model. Therefore, the aim of the present work was to assess whether RSV intake was able to modulate the adenosine-mediated signalling in SAMP8 mice. Data showed herein clearly demonstrate the ability of RSV to modulate adenosine receptor gene expression as well as transduction pathway mediated by receptors expressed on plasma membrane. Interestingly, this polyphenol was able to reverse the age-related loss of adenosine A1 receptors and its corresponding signalling pathway. Moreover, adenosine A2A receptors were not modulated by aging or RSV, but A2A-mediated signalling was completely desensitized after RSV treatment compared to untreated mice. Enzymes involved on adenosine metabolism, such as 5′-nucleotidase and adenosine deaminase, were found to be reduced after RSV treatment, but adenosine levels remained unchanged. Nevertheless, an age-related decrease on 5′-nucleotidase activity and adenosine and related metabolite levels was observed. 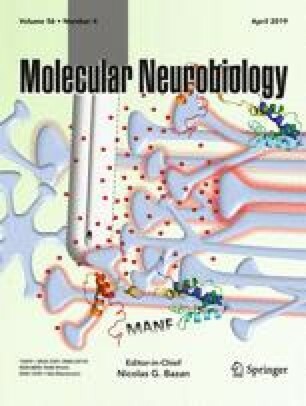 In conclusion, our data show that RSV modulates adenosine-mediated signalling, strongly suggesting that the role of RSV via adenosine receptor signalling and its modulation of neurotransmission in neurodegenerative diseases should be considered as new therapeutic target for RSV neuroprotective effect. The online version of this article ( https://doi.org/10.1007/s12035-018-1281-8) contains supplementary material, which is available to authorized users. This work has been supported by grants SAF2016-33307 from Ministerio de Economía y Competitividad to Mercè Pallas and PEII-2014-030-P from Junta de Comunidades de Castilla-La Mancha (JCCM) to Mairena Martín. Alejandro Sánchez-Melgar is the recipient of a postdoctoral fellowship (PRE-8002/2014) from JCCM.